STERLING HEIGHTS April 7, 2016– Fiat Chrysler Automobiles announced yesterday that it’s cutting production at its Sterling Heights Assembly Plant, laying off 1,300 workers in the process. The company said it will place the indefinitely laid-off workers in positions at other plants as they become available. 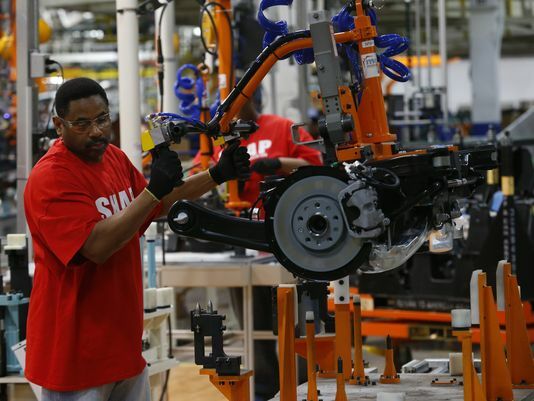 The Sterling Heights plant is where they make the Chrysler 200 mid-side sedan. The layoffs are unusual for FCA and for the U.S. automotive industry, which is in the middle of five consecutive years of record sales. It is the first large-scale U.S. job cut by the automaker since it emerged from bankruptcy in 2009. FCA has added about 11,000 hourly workers in the U.S. since 2011 and has reported monthly sales gains for 72 consecutive months. The layoffs come about three months after FCA CEO Sergio Marchionne said the automaker plans to eventually phase out production of the Chrysler 200 and the Dodge Dart. In January, Marchionne said the two models “will run their course,” but the company has not said when production will end. Marchionne also has said FCA is looking for a partner to potentially build small cars for the automaker at some point in the future. Marchionne is in the middle of refocusing the company’s strategic plan and is shifting its North American production footprint to focus on SUVs and pickups in the U.S. and smaller vehicles in Mexico. The Sterling Heights plant is widely expected to gain production of the next-generation Ram 1500 pickup that is currently made at Warren Truck Assembly. But the transition, if it happens, isn’t likely to occur for about 18 months or more. The lay-off announcement from FCA comes less than a week after Ford M0tor Company announced they would open a new plant in Mexico to build small cars, a decision that the UAW slammed. This entry was posted on April 7, 2016 by WMALC in Michigan labor news and tagged Mexico, Sterling Heights, UAW, Warren.